Nations Press health WARNING! This Fruit Is Proven Deadly When Consumed Too Much Of It With An Empty Stomach! WARNING! This Fruit Is Proven Deadly When Consumed Too Much Of It With An Empty Stomach! During mid-May to June, hospitals were filled of young patients suffering from seizure and brain swelling after waking up in the middle of the night. Unfortunately, half of them die from the condition. 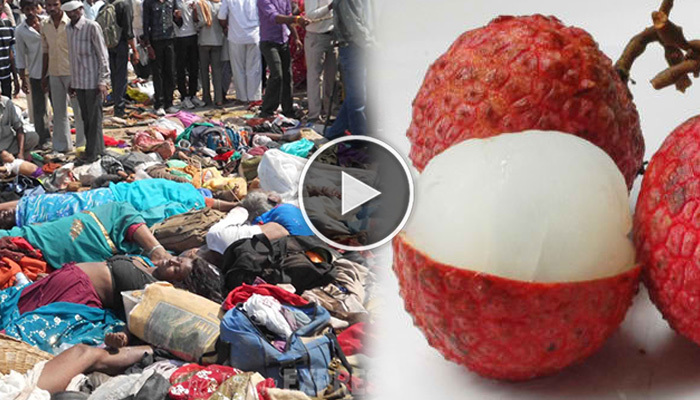 Recently, Indian researchers found out the reason of their tragic death – the lychee fruit. According to ‘I F*cking Love Science’, these kids consume too much of the fruit on an empty stomach. Since lychee produce a certain kind of toxin which is called hypoglycin, they experience hypoglycemia. This is a condition where their blood sugar is relatively low. Hypoglycin stops the body from producing glucose. This causes them to lose appetite and eventually experience seizures which prove to be fatal. Researchers deployed by US Centers for Disease Control and the National Centre for Disease Control, India, found out that lychee fruits caused their death because it coincided with the fruit’s yearly harvesting season. The victims of this distressing illness are mainly children coming from those in the poorest socioeconomic backgrounds. They found out that these children cannot afford decent meals and so they resort to picking and eating lychee fruits with their empty stomachs. Since they consume too much of it, their bodies become exposed of the high production of its toxin. In response to this tragic event, Indian health officials took action to secure everyday meals for these poor children. They also restricted the number of lychees they can consume. As a result, there was a drastic cut in the reported cases, from a hundred deaths per year to only 50 at the most.